Yes and no, how far apart are they? Good and evil, how far apart are they? I am the wilderness before the dawn. As if I have not yet emerged into form. Lost, like one who has nowhere to return. Like the high winds I never stop. I alone am untamable like lowly material. I alone am different from others. For I treasure feeding on the Mother. From Tao Te Ching 20. Translation: Ellen M. Chen. New York: Columbia University Press. 1976. Things were looking very bad for Wang Yang-ming. Midway through his career as a successful minister, he intervened to save some people unjustly imprisoned. Instead of saving them, he was imprisoned himself, flogged and sent into exile, where he narrowly escaped an assassination attempt. There he was, in a frontier region of the Chinese empire, a desolate, tropical hole infested with serpents, malaria and outlaws fleeing from justice. He thought he’d never make it back to civilization, and had a coffin made for himself out of stone, which he looked at nonstop while sitting, meditating, day and night. 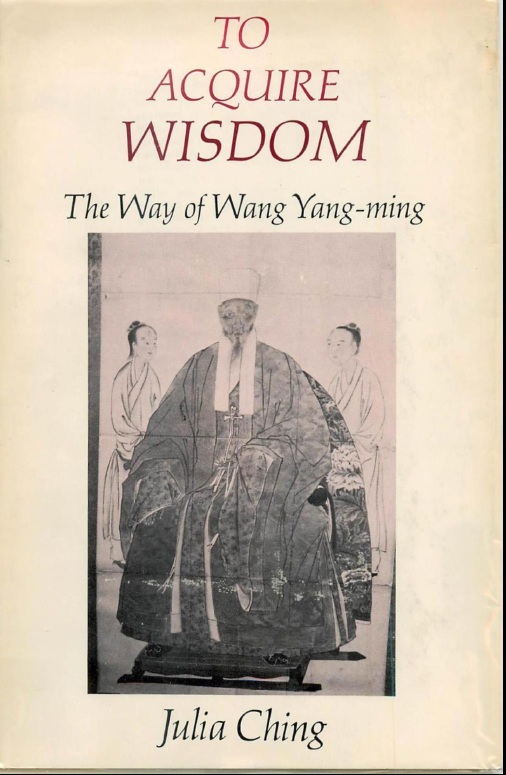 Julia Ching’s book on the life and philosophy of Wang Yang-ming (1472-1529) takes you right into the heart and soul of Ming dynasty China. This, in itself, makes it a good read. But what makes it special is the penetrating insight it offers into the revisionist Neo-Confucian philosophy he formulated several centuries after the height of the classic Neo-Confucian age during the Song dynasty. This philosophy is not some historic relic of mere academic interest. Far from it. Wang Yang-ming’s philosophy is more fresh and relevant today than ever, and is increasingly validated by recent findings in neuroscience and systems biology. So, as you gradually accumulate an understanding of the external world, this can lead you to a better understanding of your own nature… and vice versa. Everything from ruler, minister, husband, wife, and friends to mountains, rivers, heavenly and earthly spirits, birds, beasts, and plants, all should be truly loved in order that the unity may be reached [through] my humanity (jen). Then will my clear virtue be completely made manifest; then will I really form one body with Heaven and Earth and the myriad things. 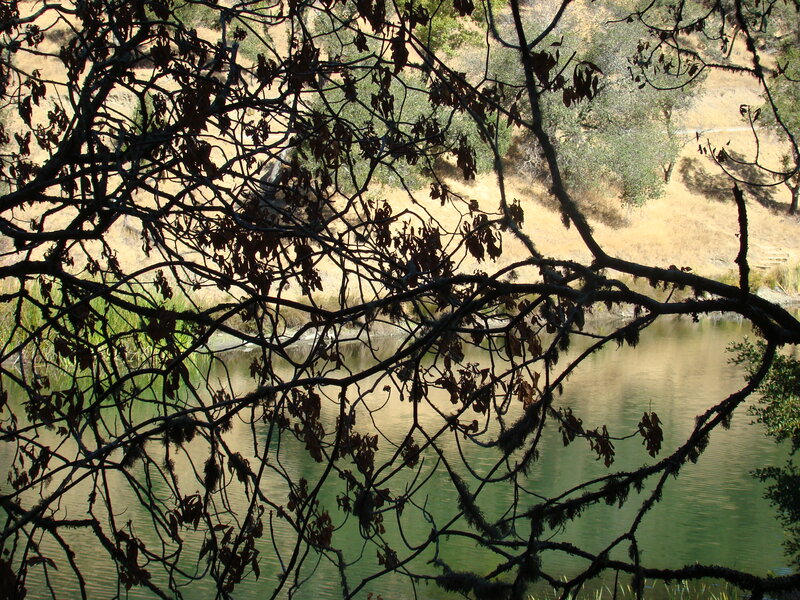 Perched on the branches, birds are uttering the true Tao. I know that my body is one with the ten thousand things. But who will sweep away the heaps of dust from the blue sky? And who will sweep away the heaps of tar balls from the Gulf coast? Exploring the Neural Correlates of Wu-Wei. New York: Oxford University Press. 2003. 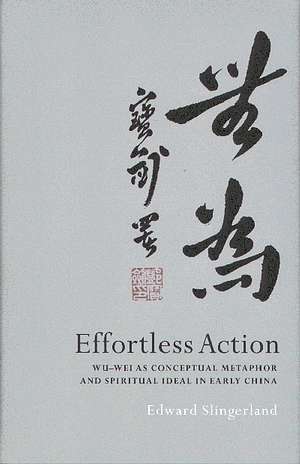 Classical Chinese scholar, Edward Slingerland, translates wu-wei as “effortless action” and describes how this metaphor served “as a central spiritual ideal” of the great early Chinese philosophers. Along with such great Chinese scholars as Joseph Needham and Benjamin Schwartz, Slingerland believes that the simple translation of wu-wei as “non-action” is inadequate to describe the concept. Schwartz had previously suggested “non-purposive action or behavior” and Needham offered: “‘refraining from activity contrary to Nature’, i.e. 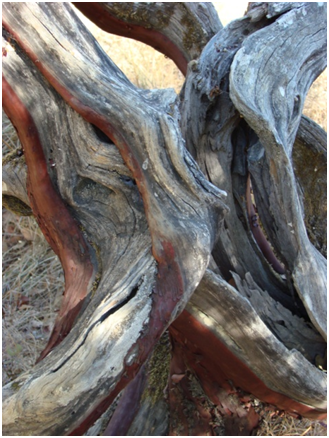 from insisting on going against the grain of things, from trying to make materials perform functions for which they are unsuitable.” Slingerland’s “effortless action” seems consistent with these interpretations, but shifts the attention a little more to the dynamics within an individual consciousness rather than, for example, Needham’s focus on mankind’s relationship with the natural world. Therefore when Tao is lost, then there is te. When te is lost, then there is jen (humanity). When jen is lost, then there is i (righteousness). When i is lost, then there is li (propriety). The trappings of culture, the forces of technology, cumulatively come to dominate mankind’s original animate consciousness, imposing a different kind of conceptualized order on society and in each of our minds. However, my approach differs from Laozi in that it’s clear that there’s “no going home.” Even if, according to some romantics, the hunter-gatherer way of life was superior to ours in many ways, that’s now irrelevant. We live in an age when both the positive and negative effects of our pfc-dominated culture pervade every aspect of our existence. The way forward, then, is for us to achieve a “democracy of consciousness” by regaining a harmony between our animate and conceptual consciousness. This is where my approach meets Slingerland’s “paradox of wu-wei.” When Zhuangzi describes the perfect harmony of the cicada-catcher or Butcher Ding, I believe he’s capturing moments of “democracy of consciousness”, when the functions of the pfc are perfectly aligned with those of our animate consciousness. Slingerland points out the paradox here that Butcher Ding “apparently had to train for years and pass through several levels of attainment before he was finally able to follow his spiritual desires.” I agree. But modern neuroscience shows us that this paradox is encapsulated in the biology of our brains. When you are learning a new routine, whether it’s driving, playing music, or walking into a restaurant, your pfc is fully engaged. You are attentive to every move you make, thinking about it, making an effort, measuring it against pre-conceived rules of conduct. Your self-awareness is at its height. Wu-wei is nowhere to be found. Evidence suggests that the PFC is more critical for new learning than for familiar routines… Human imaging studies report a decrease in blood flow to the PFC as a task become more familiar and greater blood flow to the dorsal premotor cortex (PMC) than the PFC when subjects are performing familiar versus novel tasks. Also, with increasing task familiarity, there is a relative shift in blood flow from areas associated with focal attention, such as the PFC, to motor regions. Therefore, it may be that the PFC is primarily involved in new learning, but with familiarity, rules become more strongly established in motor system structures. Whereas activation of the lateral regions appears to support self-monitoring and focused attention, deactivation may be associated with defocused, free-floating attention that permits spontaneous unplanned associations, and sudden insights or realizations. The idea that spontaneous composition relies to some degree on intuition, the ‘‘ability to arrive at a solution without reasoning’’, may be consistent with the dissociated pattern of prefrontal activity we observed. That is, creative intuition may operate when an attenuated DLPFC [dorsolateral prefrontal cortex] no longer regulates the contents of consciousness. The subjects of this study were “highly skilled professional jazz musicians”. We can imagine, based on the earlier studies mentioned, that novice jazz musicians would have shown much greater pfc-activation along with their greater effort. Based on these analyses, I suggest that we can usefully correlate different levels of pfc-activation to different aspects of wu-wei that Slingerland identifies in Laozi, Mencius and Zhuangzi. By contrast, as Slingerland points out, the Mencian view of wu-wei involves “appropriate” human cultivation of experience. In this view, the pfc’s functions of identifying, establishing rules, and promoting appropriate action are considered part of the natural, wu-wei human experience. Just as it’s “natural” for an infant to spend their first two and a half years formulating the symbolic pfc-mediated network required to understand native language, so the Mencian view would place the societal manifestations of this function – language, community, agriculture – as wu-wei, the effortless activity of a mature human consciousness. The Mencian view, though, describes another ideal context – that of a stable agricultural society where man and nature co-exist in harmony – which is almost as far removed from our world as the Laozian “state of nature.” To use the Mencius agricultural harvest metaphor, mankind has been tugging on the naturally growing shoots for so long that we’re in danger of pulling up the entire plant from the ground, having to replace it with our own genetically engineered variety. I suggest that the Zhuangzian approach to wu-wei, in contrast to both Laozi and Mencius, describes a path that’s directly relevant to our individual and societal conditions in the 21st century. Rather than reject the pfc’s involvement in human experience, the Zhuangzian approach, supported by the neuroimaging findings above, advocates the full utilization of pfc functions – willpower, application, attention – to arrive at a stage where the pfc can take a back seat, and a harmonization of consciousness becomes available. This dynamic can be extended beyond the specific aspects of life analyzed in the neuroimaging studies to all aspects of our lives, indeed to the general way we choose to lead our lives. It might take a great effort to get there, but by utilizing rather than rejecting our unique pfc-mediated functions, we each have the capability within us to arrive at a place of wu-wei, to shift the balance of power within our own minds and achieve our own democracy of consciousness. Chen, E. M. (1989). The Tao Te Ching: A New Translation with Commentary, St. Paul, Minnesota: Paragon House. TTC 3 & 4, pp. 58, 60. Schwartz, B. I. (1985). The World of Thought in Ancient China, Cambridge, MA: Belknap Harvard University Press, 188. Needham, J. (1956/1972). Science and Civilisation in China, Volume II. London: Cambridge University Press. “Soteriology” generally refers to the religious study of salvation. Cited by Chen, E. M. (1973). “The Meaning of Te in the Tao Te Ching: An Examination of the Concept of Nature in Chinese Taoism.” Philosophy East and West, 23(4), 457-470. Chen, op. cit. 146: TTC 38. Muhammad, R., Wallis, J. D., and Miller, E. K. (2006). “A Comparison of Abstract Rules in the Prefrontal Cortex, Premotor Cortex, Inferior Temporal Cortex, and Striatum.” Journal of Cognitive Neuroscience, 974-989. Tang, Y.-Y., and Posner, M. I. (2009). “Attention training and attention state training.” Trends in Cognitive Sciences, 13(5: May 2009). Limb, C. J., and Braun, A. R. (2008). “Neural Substrates of Spontaneous Musical Performance: An fMRI Study of Jazz Improvisation.” PLoS ONE, 3(2: February 2008), e1679. It should be noted that another part of the pfc, called the fronto-polar cortex, was active during the improvisation. This area is thought to be related to integrative functions, and is distinct from the “effortful” planning functions of the lateral pfc described in the post. Gunaratana, V. H. (1991). Mindfulness in Plain English, Somerville, MA: Wisdom Publications. Quoted by Fung, Y.-L. (1948/1976). A Short History of Chinese Philosophy: A Systematic Account of Chinese Thought From Its Origins to the Present Day, New York: The Free Press. 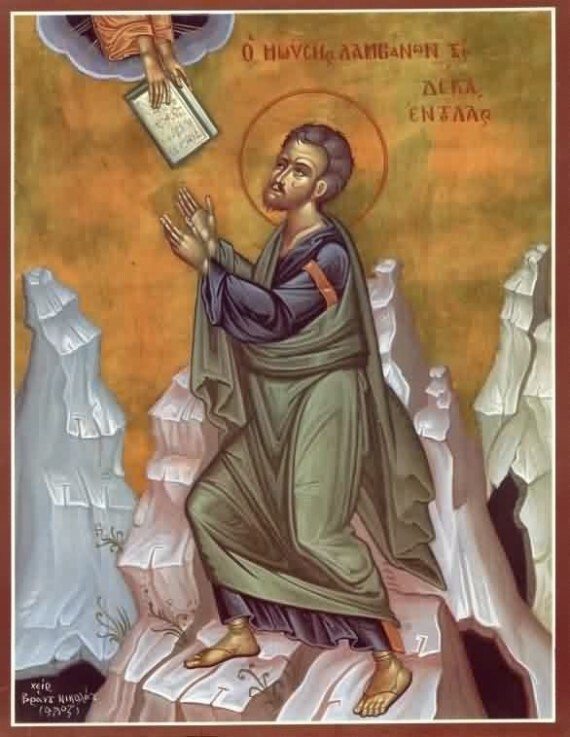 God the lawgiver, who wrote the Laws of Nature – a hallowed Western tradition. So, the fixed Laws of Nature seem to have a long and unbroken tradition in Western thought, from polytheism, through monotheism, and all the way to our scientific world today. Only one problem. The Laws are incomplete. Sure, they’re amazingly powerful at sending rockets to the Moon, seeing distant galaxies, determining molecular structures, and a whole host of other wonders that have built our modern world. 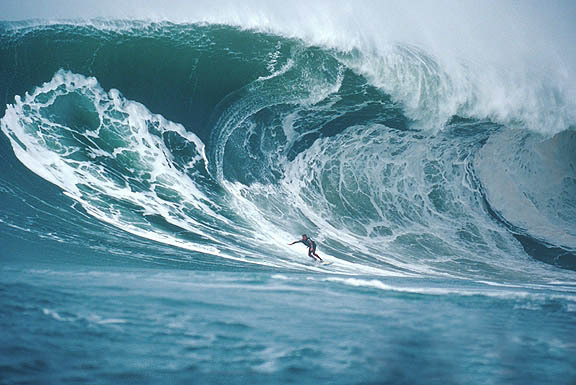 But let’s face it – the amount of stuff they can predict is swamped by what they can’t. That fly buzzing around the room… which way is it going to turn next? Will your boyfriend remember your birthday this year? When will Greenland’s ice cover slide into the ocean? Will you catch the flu this winter? Everything is simple and neat – except, of course, the world. Every place we look – outside the physics classroom – we see a world of amazing complexity… at all levels: huge mountain ranges, the delicate ridge on the surface of a sand dune, the salt spray coming off a wave, the interdependencies of financial markets, and the true ecologies formed by living things. Each situation is highly organized and distinctive, with biological systems forming a limiting case of exceptional complexity. The natural world is exceptionally – and beautifully – more complex than the fixed laws of nature. The Chinese had a name for this organized complexity: the li. As I’ve described in an earlier post, the li of the Neo-Confucian philosophers is the ever-moving, ever-present set of patterns which flow through everything in nature and in all our perceptions of the world including our own consciousness. It’s a concept that we lack in our Western understanding, partly because we’re so fixated on Nature’s laws that we can’t even imagine there could be any other natural forces driving our universe. But in recent decades, complexity theorists using advanced mathematics are beginning to come across the natural dynamic of the li that had been integral to a thousand years of classical Chinese thought. They’re just not sure exactly what to call it. The Tao of Heaven operates mysteriously and secretly; it has no fixed shape; it follows no definite rules [wu-tse, literally “non-law”]; it is so great that you can never come to the end of it; it is so deep that you can never fathom it. …[Li] is…in effect a Great Pattern in which all lesser patterns are included, and the ‘laws’ which are involved in it are intrinsic to these patterns, whatever their degree of complexity, not extrinsic to them, and dominating them, as the laws of human society constrain individual men. The Chinese saw an intrinsic relationship between all things in the universe. To try to get at what Needham is saying, let’s think about the Western concept of law. What are essential elements of a law? First, you need a law-maker – somebody who creates the law. Then, you need a target – some group who must obey the law. And finally, you need power – some agent to enforce the law. Needham’s point is that none of those three elements exist within the concept of “li”. … divine law has no sanctions. We do not see Heaven command the four seasons, and yet they do not swerve from their course. … much (and perhaps most) of the order that we see in living nature is an expression of properties intrinsic to complex dynamic systems organized by simple rules of interaction among large numbers of elements. Sounds similar to old Wang Pi? I propose that these similarities are not just superficial – they are describing fundamentally the same dynamic, one in the language of the Tao, the other in the language of 21st century science. The implications of this are enormous. Most of us have spent our lives under the impression that there’s a huge chasm dividing scientific truths from spiritual truths. The principles of the Tao have always seemed a long way from Newton and Einstein. And yet, if Wang Pi and Brian Goodwin are describing the same thing, then there’s a continuum that exists between experiencing the mysterious Tao in the natural world and the cold, hard logic of scientific inquiry. They’re not two different dimensions at all. And if that’s the case, then it suggests that perhaps our Western culture has a lot to learn from more than two millennia of the Chinese thought tradition. I’m not just talking about “spiritual learnings” seen as separate from our everyday, scientific approach to the world. I’m suggesting that our scientific conceptions of the world, the framework within which we envisage reality, may be enhanced, even transformed, by the application of ancient Chinese thought traditions. And it all begins with accepting the notion that our universe isn’t just driven by our so-called laws of nature, but also by the dynamics of the li. Livio, M. (2009). Is God a Mathematician?, New York: Simon & Schuster. Burtt, E. A. (1924/2003). The Metaphysical Foundations of Modern Science, New York: Dover Publications, p. 82. Jeremiah 5:22 (King James Version). Needham, J. (1956/1972). Science and Civilisation in China, Volume II, London: Cambridge University Press, p. 533. Goldenfeld, N., and Kadanoff, L. P. (1999). “Simple Lessons from Complexity.” Science, 284(2 April 1999), 87-89. Watts, A. (1975). Tao: The Watercourse Way, New York: Pantheon Books, pp. 45-6. Needham, J. (1951). “Human Laws and Laws of Nature in China and the West (II): Chinese Civilization and the Laws of Nature” Journal of the History of Ideas. City, pp. 211-12. In addition to tse, another important Chinese term for the body of law is fa, which is the word used for the rule-oriented philosophical group called the Legalists who were frequently in direct opposition to the Confucians in ancient Chinese history. Quoted by Watts, op. cit. Cited by Needham (1951), op. cit., p.213. Goodwin, B. (1994/2001) How the Leopard changed Its Spots: The Evolution of Complexity, Princeton: Princeton University Press, p. 186. In this passage, Goodwin is describing the work of theoretical biologist and complex systems theorist Stuart Kauffman. From this simple idea arose one of the most powerful concepts in mankind’s attempts to understand the world around us. Since this blog is called Finding the Li, it’s self-evident that I see this classical Chinese view of the li as important. In fact, I believe that a true understanding of the Chinese conception of the li can be a crucial step in our society developing a cosmological construct of the universe for the 21st century: one that can bridge the gap between science and spirituality and give a framework for truly integrating technology and the natural world. The first thing to understand about the li is that it doesn’t refer to a fixed pattern. We’re talking about dynamic patterns, patterns within patterns, patterns both in space and in time. And it’s not something that only exists in beautiful natural scenery such as trees, clouds and streams (although that’s a great place to look for it). The li is the ever-moving, ever-present set of patterns which flow through everything in nature and in all our perceptions of the world including our own consciousness. 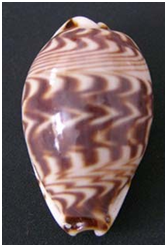 Tropical mollusk shell: the li as "pattern of the organism"
So far, we’ve been seeing li as patterning – as all the patterns that embody existence. But if you raise this idea to a higher level of generality, then you can begin to think about the li as the set of “organizing principles” that form these patterns. The meaning of “natural and inescapable” is that [human] affairs, and [natural] things, are made just exactly to fit into place. The meaning of ‘law’ is that the fitting into place occurs without the slightest excess or deficiency. For Western-educated readers, this might seem like a natural place to think to yourself “Nice idea, but what does this ‘cosmic harmony’ stuff have to do with the real world?” In the next few posts, I intend to answer this question, and propose that the concept of the li represents a missing dimension to our Western reductionist worldview while remaining compatible with scientific thought. I’ll try to show how the li contrasts with our Western idea of the “laws of Nature,” and how it relates to modern complexity theory and to the Tao. Along the way, I hope to point to how the conception of the li can help us to understand current views of how the mind creates consciousness, modern approaches to evolution, and where to look for spirituality in a material world. What fills the universe I regard as my body; what directs the universe I regard as my nature. All people are my brothers and sisters; all things are my companions. Needham, J. (1951). “Human Laws and Laws of Nature in China and the West (II): Chinese Civilization and the Laws of Nature”Journal of the History of Ideas, pp. 194-230. Watts, A., (1975). Tao: The Watercourse Way. New York: Pantheon Books. The Song Dynasty, considered by some to be the pinnacle of classical Chinese civilization, existed between the years 960 and 1279. Needham, J. (1956/1972). Science and Civilisation in China, Vol. II, London: Cambridge University Press, p. 558. Chu Hsi lived from 1130 to 1200. The Chinese thought of the mind as having its physical existence in the heart as opposed to our Western view of it existing in the brain. Quoted in Yu, D. (1980). “The Conceptions of Self in Whitehead and Chu Hsi.” Journal of Chinese Philosophy, 7(1980), 153-173. Needham, J. (1951), op. cit. Needham, J. (1951) op. cit., pp 216-18. Quoted by Needham, J. (1956/1972) op. cit. p. 546. This week, world leaders are meeting in Copenhagen to discuss what to do about global warming. How did we ever get into this mess? Yes, we all know the proximate causes – the greenhouse effect, carbon emissions, etc. But I’m asking about the underlying cause: the construction of our view of mankind’s relationship with the natural world. In this post, I want to take a brief look at an entirely different perspective of our place in the universe: the ancient Chinese view of the cosmos. It’s fundamentally different from how the Western world sees things. And there’s a lot we can learn from it. And yet nothing is not done. The ten thousand things will transform by themselves. This is called the dark virtue. As historian Toby Huff so clearly puts it: “Within this cosmos there is no prime mover, no high God, no lawgiver”. So, if there was no Creator, how did this harmony come about? In the West, we’re used to an either/or approach to cosmology. In our present day, it’s the faith of religion against the reductionism of science. Either there’s a God who created everything and gave it all meaning, or there was just the Big Bang and ever since then the immutable laws of physics arranged everything down to the last molecule in a cold, hard universe without magic, mystery or meaning. 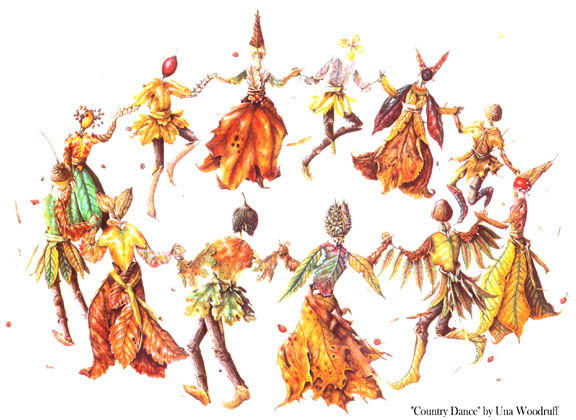 Spontaneous yet ordered, in the sense of patterned movements of dancers in a country dance of figures, none of whom are bound by law to do what they do, nor yet pushed by others coming behind, but cooperate in a voluntary harmony of wills. We do not see Heaven command the four seasons, and yet they never swerve from their course. So also we do not see the sage ordering the people about, and yet they obey and spontaneously serve him. Needham coined the phrase “an organic worldview” to describe this – self-contained organisms following their own internal rules within the context of larger organisms, and themselves comprised of smaller organisms also following their own rules. The Chinese never conceived of an immortal soul. They never conceived of an omnipotent Creator. The notion of dualism never entered their consciousness. They used their pfc faculties every bit as much as the Greeks, but for the purpose of understanding the integration of these faculties with other aspects of themselves and with the natural world around them. 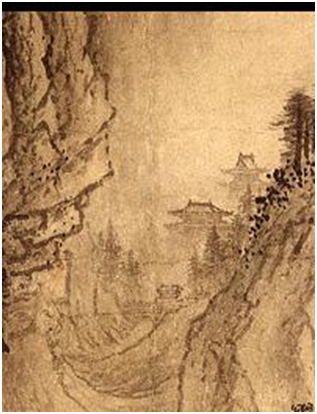 Clear Weather in the Valley, an example of Sung dynasty landscape painting by Tung Yüan (late 10th century) shows the view of humanity’s relatively subordinate place within the natural environment and demonstrates how human activity is seen to blend in with the environment. I see that it cannot be done. Which cannot be acted upon. One who holds on to it loses. Over two millennia of Western dualism, billions of people have spent their lives struggling with the conflict between the natural drives of their animate consciousness and a conceptualized ideal of spirituality arising from the pfc’s abstractions. In traditional Chinese thought, the opposite is true. Harmony is seen as arising from each of us being in touch with and following our own true nature. Do not want to be filled to the full. They can renew themselves before being worn out. Chen, E.M., (1989). The Tao Te Ching: A New Translation with Commentary. St. Paul, Minnesota: Paragon House. Chapter 37. Huff, T. E. (1993/2006). The Rise of Early Modern Science: Islam, China, and the West, New York: Cambridge University Press, pp. 251-2. Needham, J., (1956/1972). Science and Civilisation in China, Volume 2. London: Cambridge University Press. For those of us who have grown up in a world dominated by Western thought, the prevailing mindsets available to us – scientific methodology, monotheism or some other dualistic belief – seem like the only ones to choose from. In my blog entitled Tyranny of the Prefrontal Cortex, I’ve described how our Western thought structure has led to an imbalance in our collective consciousness, whereby the prefrontal cortex (“pfc”) – the part of the brain that mediates symbols and abstract values – has predominated over other aspects of our consciousness. But it didn’t have to be this way. And it doesn’t have to be this way. There were other ways in which the pfc could have constructed its cosmology without seeing itself as an immortal soul separate from its own body and the rest of the natural world. Without seeing its intellectual constructs as the only ultimate truth. And there are other approaches we can use to construct meaning in a way that integrates with our bodies and with our animate consciousness, without having to reject the evidence of science. To find these other approaches to meaning, we need to dig deep into the archaeology of the mind. Back to the era of the ancient Greeks, when Plato first posited an immortal soul separate from our material bodies. Only we’re going to look at another path taken by the pfc, a path that connects the pfc’s drive for meaning with the living, feeling reality of the animate consciousness. It’s a path taken thousands of miles away from the Mediterranean, in a culture virtually untouched by the Proto-Indo-European mental structures that pervaded both Western and Indian cultures. It’s a path laid down by the Chinese thought tradition. When Plato was setting the foundations for mind-body dualism in the West, ancient Chinese thinkers such as Confucius, Lao-Tzu and Chuang-tzu were offering very different viewpoints on the nature of the cosmos. These masters were the mouthpieces for ancient traditions that had grown up over thousands of years, completely cut off from the other thought traditions of Western Eurasia. Chinese scholar Chad Hansen describes how “early Chinese and Greco-Indian philosophical traditions materialized on opposite divides of a great physical barrier – the Himalaya mountains and Xinjiang barrens.” This physical barrier led to a philosophical chasm: “early Chinese philosophers show startlingly little interest in the familiar staples of early Western thought” such as dualism of body and soul. 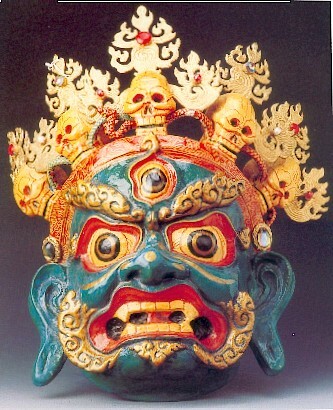 Europeans suffered from a schizophrenia of the soul, oscillating for ever unhappily between the heavenly host on one side and the ‘atoms and the void’ on the other; while the Chinese, wise before their time, worked out an organic theory of the universe which included Nature and man, church and state, and all things past, present, and to come. Until the last few hundred years, China’s culture and civilization were more advanced than anything the West had achieved. But something even more remarkable in Chinese culture is that it represents an unbroken tradition from our prehistoric indigenous roots. We see in classical Chinese culture a sophisticated and complex cosmology, but one which evolved along a continuum from early shamanistic conceptions of the world. In the West, by contrast, the confluence of ideas generated in Proto-Indo-European, Mesopotamian and Egyptian thought traditions led to the revolution in thinking that occurred in classic Greek culture: the ascendancy to power by the pfc in the form of dualism. Classical Chinese and Western thought are built on different foundations. The Chinese foundation connects all the way down to pre-agricultural shamanistic roots. The Western foundation was reset in a new Platonic concrete over 2,000 years ago, providing a solid base for monotheistic and scientific thought, but creating a separation between our conceptual and animate consciousness, and between humans and the natural world. And what we see in early Chinese thought is an approach fundamentally different from that in the West. Instead of dualism there’s the polarity of yin and yang. 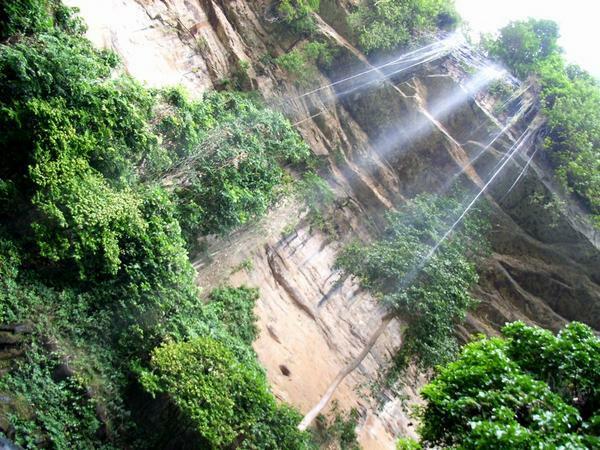 Instead of Heaven and Hell, there’s a harmonious interaction between different aspects of the natural world. Instead of mankind’s separation from nature, there’s a complex, organic view of our connectivity with nature. Instead of the pfc dominating human consciousness with its idealization of reason and the mind, there’s a harmonization between the pfc’s faculties and our animate consciousness. Instead of God, there’s the Tao. The notion of an interdependent self is linked with a monistic philosophical tradition in which the person is thought to be of the same substance as the rest of nature. As a consequence, the relationship between the self and other, or between subject and object, is assumed to be much closer. Thus, many non-Western cultures insist on the inseparability of basic elements, including self and other, and person and situation. In Chinese culture, for instance, there is an emphasis on synthesizing the constituent parts of any problem or situation into an integrated or harmonious whole. The implications of these differences in East Asian and Western are enormous, but are frequently misrepresented in the political tug-of-war arising from such research. Much of the debate centers around nature/nurture issues such as “Are Westerners hard-wired to be more creative?” or “Are East Asians hard-wired to be meeker?” I believe that these issues are relatively fruitless to pursue and tend to be used by people to buttress their own prejudices. Instead, I think these findings offer a path to much richer pastures. I propose that those of us who are Western-educated can learn something invaluable from the classical Chinese thought traditions. We can discover different ways of thinking about ourselves and the world, which have the potential to lead to a more integrated sense of ourselves, and increased harmony with the natural world. Is our Western thought structure on shaky foundations? But, as anyone who has done foundation work on their house can attest to, it ain’t easy. Digging down below the floorboards can be messy and painful, and can turn up long-forgotten buried secrets. It can also, though, be essential for survival. 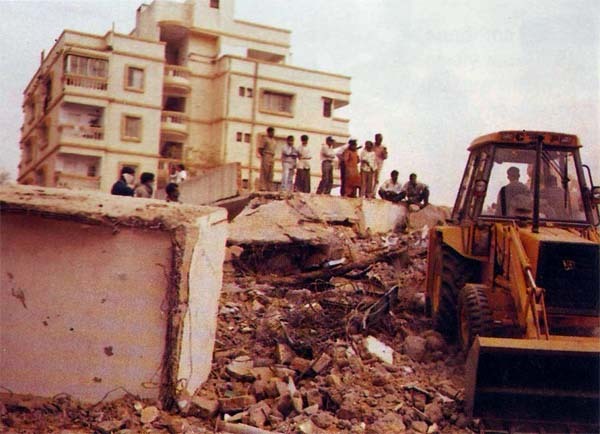 If the foundations are not rooted well into the soil, a bad storm or an earthquake can cause devastation. There’s a growing awareness that our society has created its own perfect storm in the form of global climate change, resource depletion and species extinction. At this point, I think our conceptual constructs could gain a lot from a tradition that’s rooted to the earth, that’s founded on an organic unity with the natural world. In future postings, I’ll look in more detail at the cosmology of classical Chinese thought, and explore its direct relevance to the scientific and spiritual views of the 21st century. 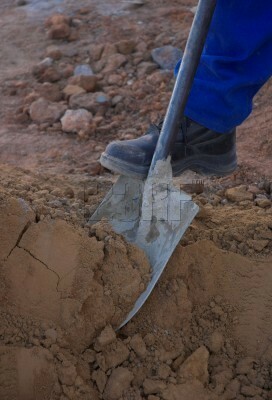 Let’s get digging! Most modern scholars question whether the Tao Te Ching was actually authored by one individual. However, for convenience, virtually everyone remains comfortable referring to the author(s) as Lao-Tzu. Hansen, C. (2000). A Daoist Theory of Chinese Thought: A Philosophical Interpretation, New York: Oxford University Press. Needham, J. (1969). The Grand Titration: Science and Society in East and West, Toronto: University of Toronto Press. Sessions, G. ed. (1995). Deep Ecology for the Twenty-First Century, Boston: Shambhala Publications. Markus, H. R., and Kitayama, S. (1991). “Culture and the Self: Implications for Cognition, Emotion, and Motivation.” Psychological Review, 98(2), 224-253. It should be noted that, while Markus & Kitayama focus their analysis on East Asia, they extend their view of an “interdependent self” to other “non-West European” cultures such as in Africa and South America. Nisbett, R. E., Peng, K., Choi, I., and Norenzayan, A. (2001). “Culture and Systems of Thought: Holistic Versus Analytic Cognition.” Psychological Review, 108(2), 291-310. Han, S., and Northoff, G. (2008). “Culture-sensitive neural substrates of human cognition: a transcultural neuroimaging approach.” Nature Reviews: Neuroscience, 9(August 2008), 646-654. 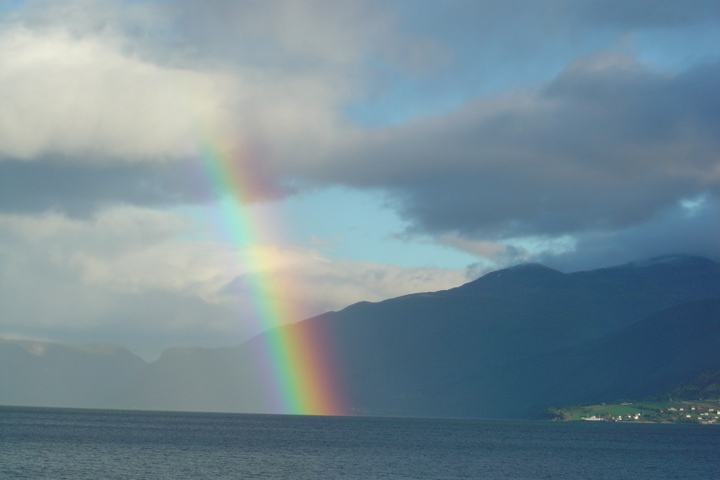 Does the scientific method unweave the beauty of the rainbow? Fascinating, but at times I wish I could unread it… On one level, I can share in the sense of wonder Dawkins so evidently sees in the workings out of such complex processes… But at the same time, I largely blame The Selfish Gene for a series of bouts of depression I suffered from for more than a decade… Never sure of my spiritual outlook on life, but trying to find something deeper – trying to believe, but not quite being able to – I found that this book just about blew away any vague ideas I had along these lines, and prevented them from coalescing any further. This created quite a strong personal crisis for me some years ago. This blog, Finding the Li, will explore ways in which that beautiful rainbow of Nature’s mystery can be rewoven by a confluence of science and spirituality. My underlying proposition is that there is no necessary disconnect between the two. There are, no doubt, scientific belief systems that are incompatible with the search for meaning; and there are spiritual belief systems incompatible with scientific rigor. These are all grist for the Science vs. Theology debate that has endured for too long, trotting out old truisms in new clothing. My interest in this blog is, instead, to explore the ways in which rigorous science can expand its project to access the mysteries of nature, and to engage the perspectives offered by some of the world’s great spiritual traditions that remain compatible with the findings of science. My hope is that, in this exploration, people like the reviewer of Dawkins’ book may find “something deeper” while remaining committed to the intellectual rigor of the scientific method. 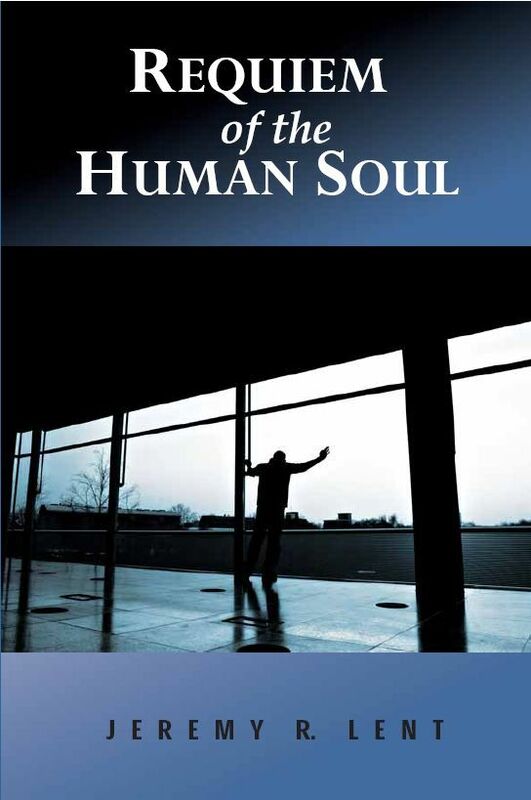 One way to think about what this means is to consider the difference between the notions of “control” and “coordination.” Traditional approaches in our Western culture view the role of the pfc-mediated part of our being – variously referred to through our history as the “soul,” “reason,” or “will” – as one of control. The pfc’s faculties are meant to control the demands of our bodies and emotions, and by doing so, enable us to transcend to a higher spiritual or intellectual plane. However, to the extent that our living beings are viewed as complex, self-organized systems, then the role of the pfc can begin to be seen instead as one of coordination. In a multilevel, hierarchical system… the task of the higher-level regulators is not to control but to coordinate, i.e. harmonise the functions of the first level regulators under changing conditions. Mesarovic et. al. are discussing complex biological systems in general. My proposal is that we humans are complex biological systems par excellence, but that in our Western culture, we’ve learned to view our pfc’s function as controlling rather than coordinating this system. When I describe moving towards a “democracy of consciousness,” I’m talking about learning how to devolve power back to those other aspects of our being, and develop our pfc’s faculties for coordination rather than control. 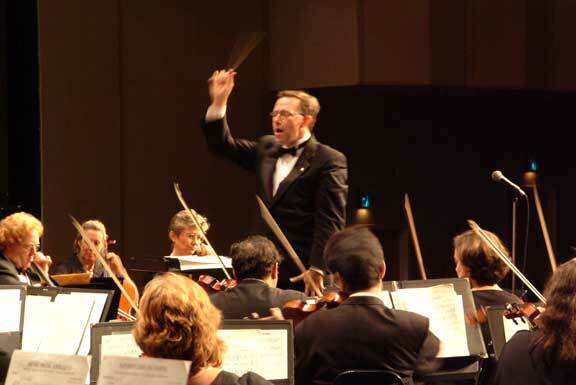 Does the conductor coordinate or control the orchestra? One of my favorite metaphors on this subject is that of music. I’m going to propose in this blog that music offers a more powerful metaphor for how our minds really work than the common cliché of “brain as computer”. Think of the conductor of an orchestra… what’s he doing? Controlling or coordinating? Or a mixture of both? How does an improvisational jazz band keep it together? Who’s in charge? It might not seem like a big change, but this shift in our awareness that I’m proposing involves a fundamental restructuring of our sense of ourselves and our values. And, ultimately, I believe this is what’s necessary if our global society is going to truly resolve the great imbalances of today’s world, manifested in global climate change and the greatest extinction of species in 65 million years. How current approaches to self-organization add to our understanding of evolution, challenging the old reductionist “modern synthesis” developed in the early 20th century. How Buddhist approaches to consciousness can help us transcend the pfc’s metaphor of the self. How neuroscience sheds light on the power of meditation to help us towards a democracy of consciousness. How “animate intelligence” contrasts with our more conventional understanding of “conceptual” intelligence. How we can reharmonize our own animate and conceptual consciousness, and in doing so, play our part in re-balancing the human impact on the environment. How all these findings can lead to a new set of global values for the 21st century. Enjoy the journey! And please share your comments whenever you feel you have something to say. Quoted by Orians, G. H. (2008). “Nature & human nature.” Dædalus(Spring 2008), 39-48. Mesarovic, M. D., Sreenath, S. N., and Keene, J. D. (2004). “Search for organising principles: understanding in systems biology.” Systems Biology, 1(June 2004), 19-27.